Cinderella is approximately 1.5 x 3.5 inches and comes on a partially lined alligator clip measuring 1 ¾ inches in length. Each clip is lined with a “no slip grip” Every clip is lined with high quality ribbon which has been treated to prevent fraying. 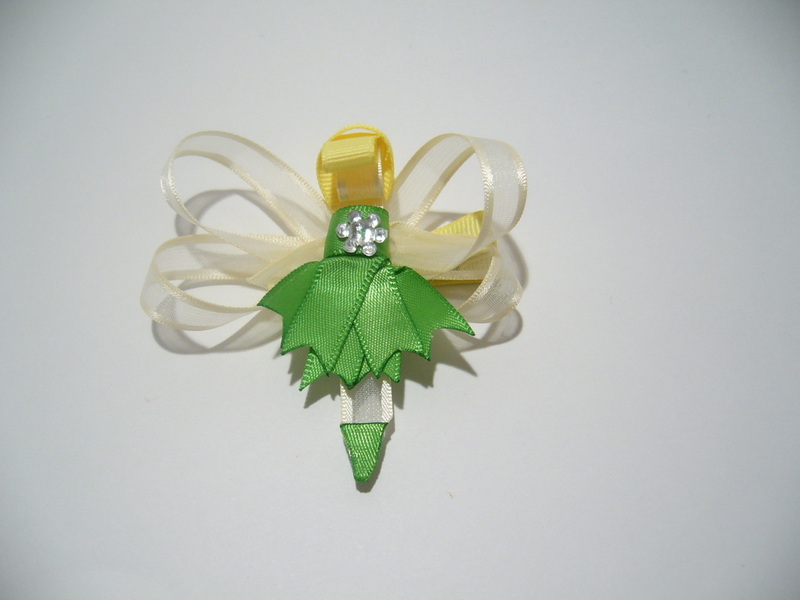 Tink is approximately 2 x 3 inches and comes on a partially lined alligator clip measuring 1 ¾ inches in length. 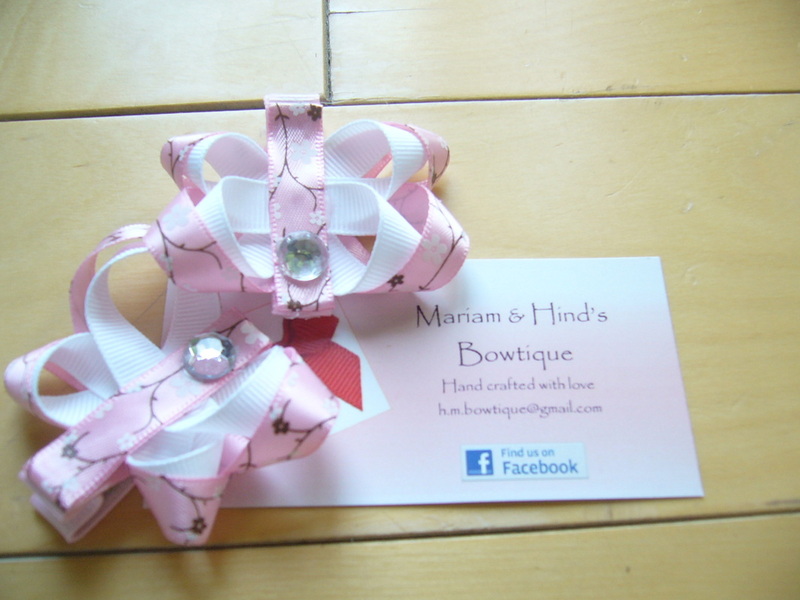 Each clip is lined with a “no slip grip” Every clip is lined with high quality ribbon which has been treated to prevent fraying.. 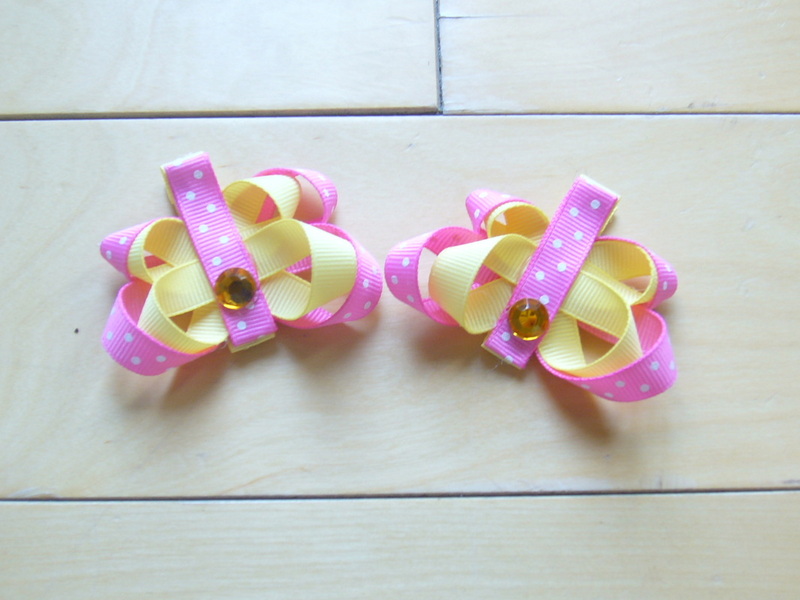 This set comes on a partially lined alligator clip measuring 1 ¾ inches in length. Each clip is lined with a “no slip grip” Every clip is lined with high quality ribbon which has been treated to prevent fraying. Beautiful ballerina slippers that come on a partially lined alligator clip measuring 1 ¾ inches in length. Each clip is lined with a “no slip grip” Every clip is lined with high quality ribbon which has been treated to prevent fraying. Sold in pairs. Please contact me if you wish to purchase just one clip. The price for a single clip is $3.50. This sweet lollipop comes on a partially lined alligator clip measuring 1 ¾ inches in length. Each clip is lined with a “no slip grip” Every clip is lined with high quality ribbon which has been treated to prevent fraying. Please contact me if you wish to purchase just one clip. The price for a single clip is $3.50. These butterflies come on a partially lined alligator clip measuring 1 ¾ inches in length. Each clip is lined with a “no slip grip” Every clip is lined with high quality ribbon which has been treated to prevent fraying. Please contact me if you wish to purchase just one clip. The price for a single clip is $3.50. These butterflies come on a partially lined alligator clip measuring 1 ¾ inches in length. Each clip is lined with a “no slip grip” Every clip is lined with high quality ribbon which has been treated to prevent fraying. These bumble bees come on a partially lined alligator clip measuring 1 ¾ inches in length. Each clip is lined with a “no slip grip” Every clip is lined with high quality ribbon which has been treated to prevent fraying. Please contact me if you wish to purchase just one clip. The price for a single clip is $3.50. Please indicate the color you want at check out. 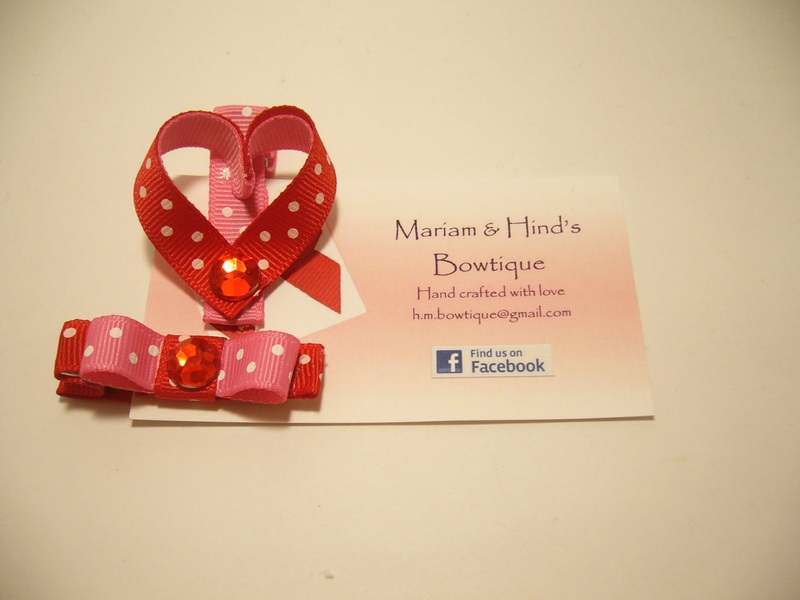 Color options are pink polka dots, red polka dots and orange polka dots. If you prefer another color please let me know. Sold in pairs. Please contact me if you wish to purchase just one clip. The price for a single clip is $3.50.